State Election Commissioner T.G. 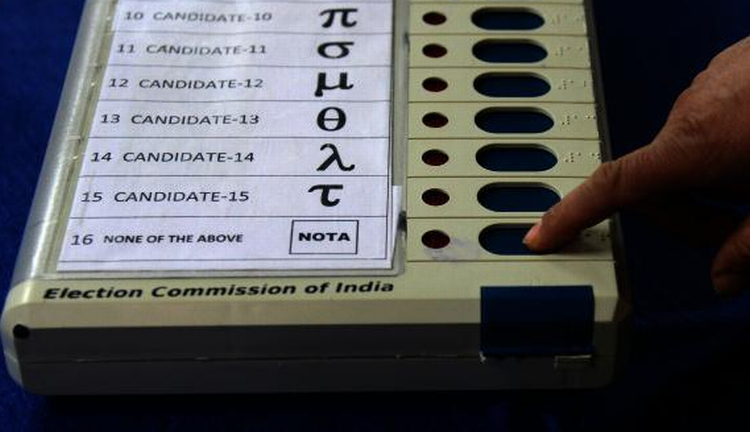 Negi said that the provision of NOTA (None of the above) would be made operative for the first time in the bye-elections of Panchayati Raj Institutions for which coloured stickers to be used on ballot paper as alternative of NOTA have been sent to all the districts. 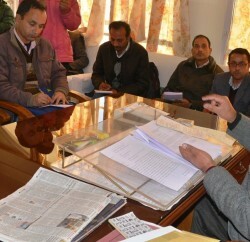 Negi was presiding over the meeting with representatives of all the districts here today apprised them regarding the instructions related to use of NOTA. 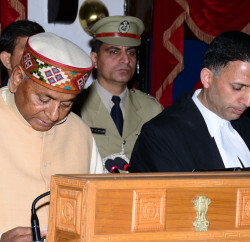 He said that vote casting in favour of NOTA would be depicted in the counting proforma, however, NOTA would not affect the results. The main objective of the training was to educate the representatives as Master Trainers who would further impart training to the officers /assistant returning officers of the districts. 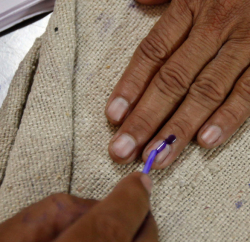 218 candidates have filed their nomination papers for the Panchayati Raj Institutions bye-elections being held for the post of 26 pradhans, 20 up-pradhans, 22 members of gram panchayats, 8 members of panchayat samitis and one member each for Zila Parishad and Nagar Panchayat Sarkaghat to be held on 30th November, 2014. Eight pradhans, three up pradhans, five members of panchayat samitis, one member of Zila Parishad and 150 members of gram panchayats have been elected unopposed.